KELTIC GOLD AT THE GREAT BRITISH CHEESE AWARDS! 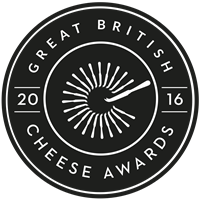 Looking forward to The Great British Cheese Awards in London on 25th October when the category winners are announced. Whalesborough’s Keltic Gold has made it to the last 4 in the ‘Best Semi Soft Cheese’ category. Fingers crossed!